Christ the Redeemer Catholic Church thrives because of the support of our many faithful parishioners who share their time and talent, as well continue to make sacrificial gifts that ensure the CtR community meets its mission of serving the people of the greater Cypress area in the spirit of love, hospitality and social justice. In addition to funding opportunities like the Living Our Mission, Shaping Our Future Capital Campaign to support the construction of the Redeemer Activity Center; weekly offertory; and the Spring Festival, our biggest special event of the year, CtR also sponsors programs like Operation Backpack, the Our Mother of Mercy Toy Drive and the Baby Bottle Blessings programs to benefit needy families in the Greater Cypress area. We also participate as a parish annually in the Diocesan Services Fund, providing needed aid to programs throughout the Archdiocese of Galveston-Houston that engage the faithful in education, service and formation. 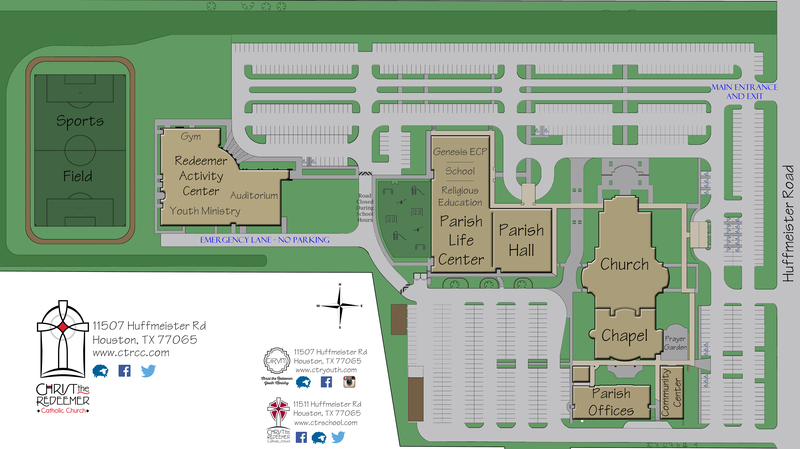 Financial gifts and donations-in-kind to CtR outside of weekend Masses can be made in-person at the Parish Office during regular business hours or mailed to the church at 11507 Huffmeister Road, Houston, 77065. Gifts made via credit card can be online at any time. For questions about giving to any of our initiatives or volunteering for any of our fundraising events, please contact Advancement Director Megan Dillingham at 281-469-5533 or megan.dillingham@ctrcc.com.